Summer vacation is winding down and I decided I needed to do something fun with the kids before school starts back up again next week. I decided to pack a picnic lunch in a backpack and drive the whole 5 minutes over to Starved Rock for a hike. I usually like to go to Matthiessen but decided we would head to Starved Rock this time. I went to my usual place, St. Louis Canyon, but the small parking lot was full. 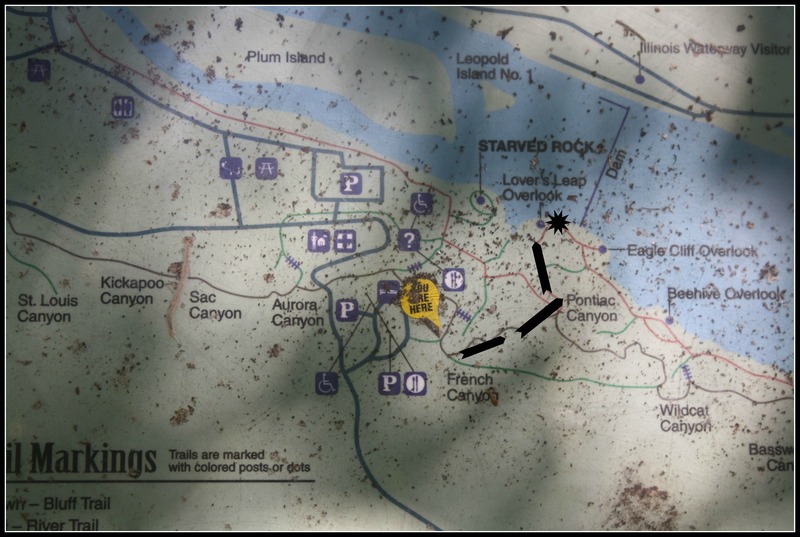 The entrance to St. Louis Canyon is right across the street from Grizzly Jack’s Grand Bear Lodge. It has a nice trail and neat waterfalls. I had to go to my backup though. I parked at the back of the Starved Rock Lodge public parking lot and went in by the bald eagles totem pole. It is closest to French Canyon. We hiked in through French Canyon and a little further up the trail before we found a spot next to the trail to lay out our blanket and have a picnic. After lunch, we hiked some more. We went past Pontiac Canyon and stopped at Lover’s Leap Overlook by the dam. Then we turned and headed back toward the parking lot. The trail was easy. It was just me with three kids ages 7, 5, and 2 and I didn’t feel unsafe at all. Even my two-year-old hiked the whole way. 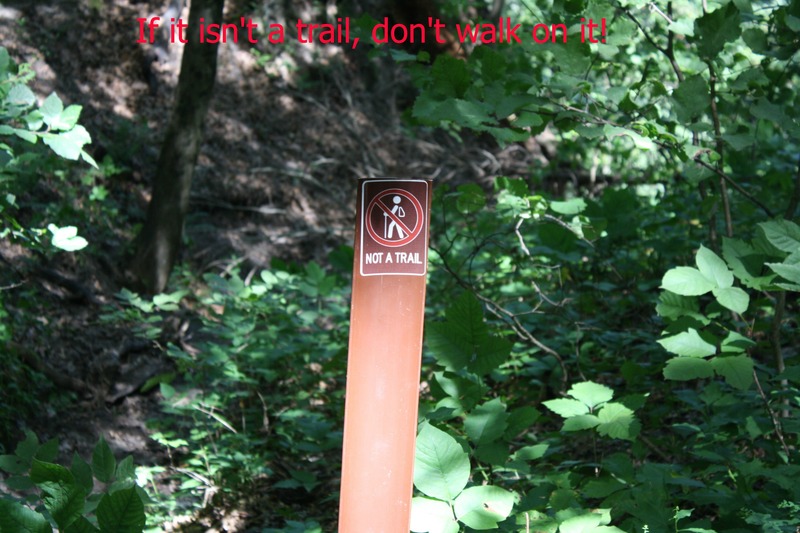 Living by Starved Rock, we often hear emergency vehicles headed toward the state parks and know that often that means someone has wandered off the trail and gotten hurt. People need to remember that this isn’t a manmade amusement park. It is nature. We stayed on the trail and were fine. There are even signs there to remind you to do just that. 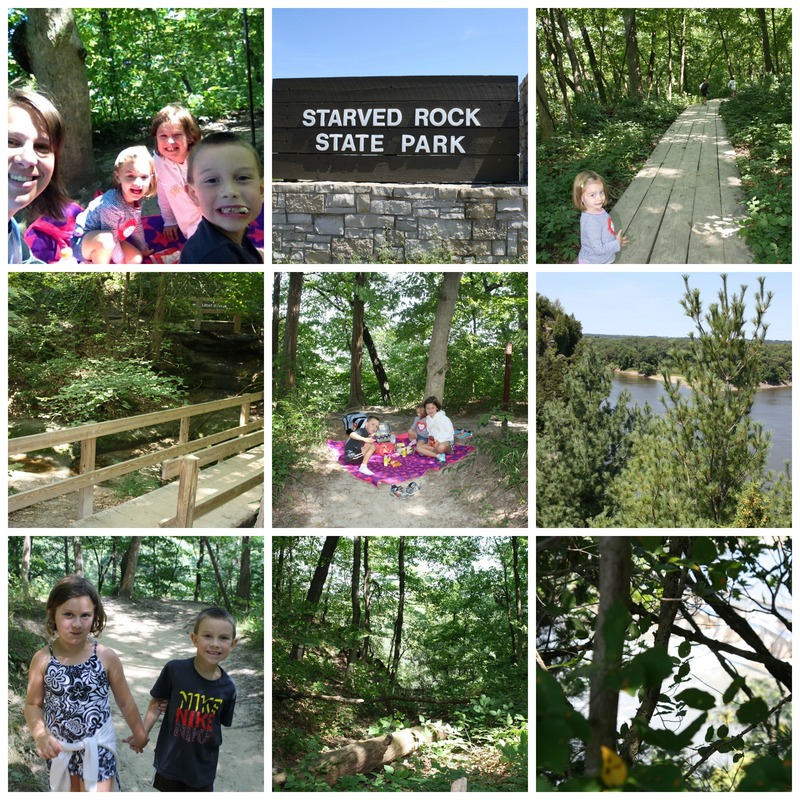 If you are looking for a trail to hike at Starved Rock with minimal stairs and some nice overlooks, I’d recommend the path we took. It is still a hike, but I would say it is pretty easy. The kids proclaimed it: “The best day ever!” It was a fun time and a good way to end summer vacation. This entry was posted in Illinois, Things to Do and tagged French Canyon, hiking, Illinois, Lover's Leap, Matthiessen, nature, picnic, Starved Rock, state park, Utica. Bookmark the permalink.